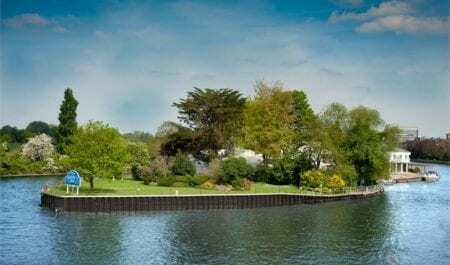 Go south-west out of London to Kingston on Thames and then head on towards Surbiton where you will find this stunning summer party venue on a two-acre island in the middle of the river. Not only do you have views of the river upstream and down, you can also see the historic Home Park and Hampton Court Palace in the distance. In addition to the buildings which have a capacity of up to 80 for a party, there is also an adjoining permanent marquee which has a capacity of 400. What’s more you can use their gorgeous landscaped lawns for fun games, inflatables and team building. 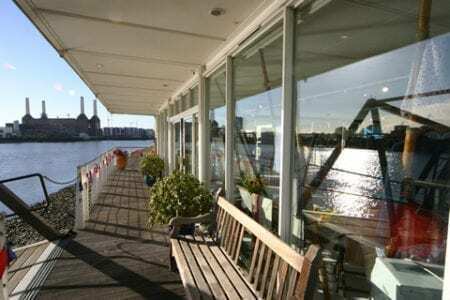 Oh and they have private ferries to get you there and back… An altogether fab summer party venue! Whilst this venue’s main purpose is as an independent charity set up to teach young people and adults to sail, kayak and powerboat in central London, given it’s to die for location, no wonder that this is a really popular summer party venue for private and corporate parties. Located in a small tree-lined park, the venue has riverfront balconies and access to the venue by private jetty. One of the best things about WBB apart from the fact that it is fabulous, the venue hire goes directly to the charity. Capacities are 80-150 for a fully seated event and 80-350 for a standing reception. Sticking to the boating theme, then how about The Yacht which is permanently moored at Temple Pier on the Embankment? 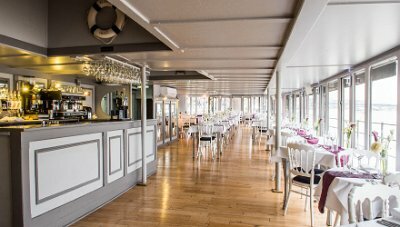 This historic steam yacht which was built on 1927 has been lovingly restored and offers a very unique summer party venue. Sit on the Top Deck Terrace and sip champagne and watch the world go by… the Yacht also has a 3 am licence, so you can party into the small hours. Capacity is anything from 15 to 250 for an exclusive hire. After a multi-million pound refurbishment, IET Savoy Place opened it’s doors again for business in late 2015. The location is second to none and there are a number of wonderful rooms available for hire. 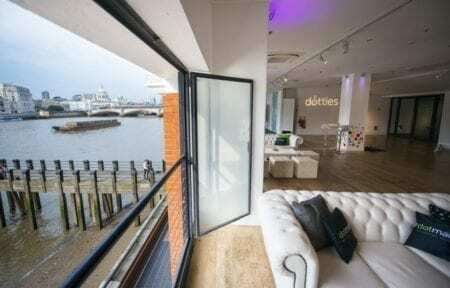 For a summer party, you can hire the iconic Riverside Rooms which has it’s own private balcony overlooking the Thames. The Johnson Roof Terrace is often hired in addition to the Riverside Rooms and is perfect for drinks receptions, parties and BBQs. The Terrace has a capacity of 200 standing and the Riverside Rooms can cater for up to 300. 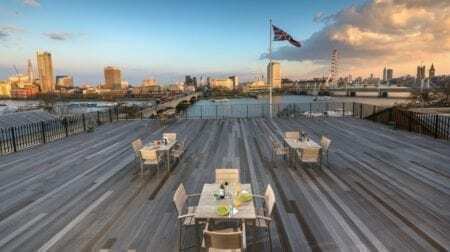 Situated on Level 2 of the famous OXO Tower on the South Bank, OXO2 is the perfect summer party venue. Although it does not have any outside space, the views certainly make up for it. This is a blank canvas style of venue so you can dress it as you please to suit any theme you may have. Massive windows run down one side to give fantastic views over the river to the city. Capacity here is 220 for a standing reception. 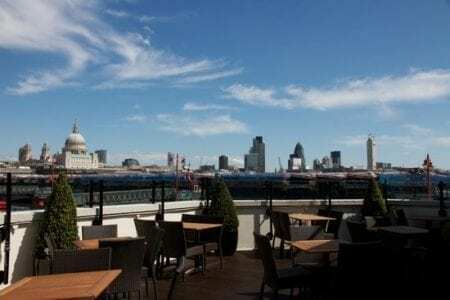 Across the river, we have another summer party venue without any actual outside space, but again the views are amazing. 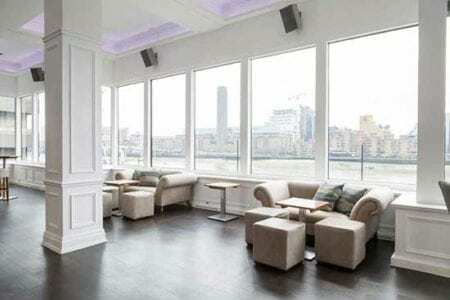 With two floors of contemporary space, River Rooms is certainly a venue with a wow factor. With a 2am licence, this venue is great for those of you who like to party! Capacity from 200 – 1000 standing reception. For the real ales lovers amongst you, we thought that we would include a great pub bang on the river by Blackfriars Bridge. The upstairs private function room and massive terrace make this pub one of the best summer party venues in London. Definitely worth considering if most of the men in your party like real ale. Capacity from 60-120 standing. This is just a little taste of the fabulous summer party venues that you will find on the River Thames – please do let us know if you have any you would like to add. You can contact us here.